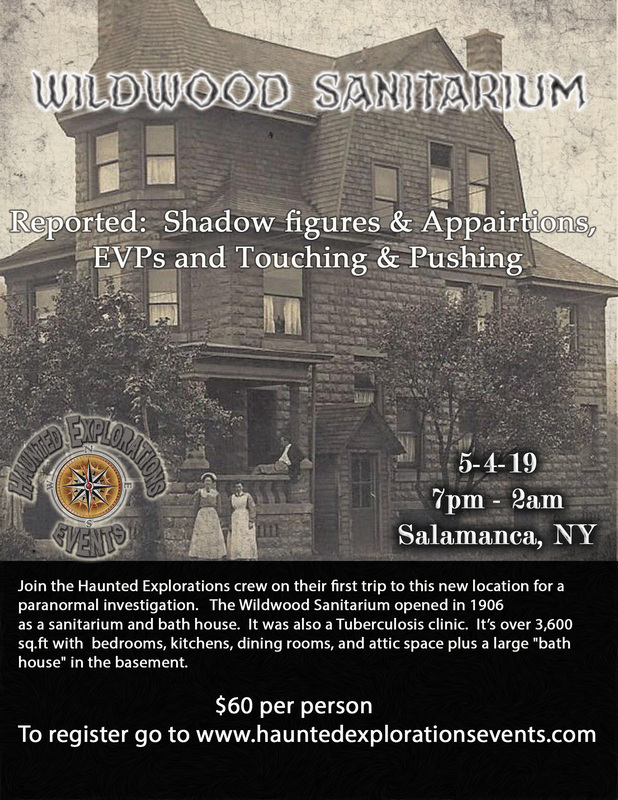 Join the Haunted Explorations crew on their first trip to this new location for a paranormal investigation. The Wildwood Sanitarium opened in 1906 as a sanitarium and bath house. It was also a Tuberculosis clinic. It’s over 3,600 sq.ft with bedrooms, kitchens, dining rooms, and attic space plus a large “bath house” in the basement.